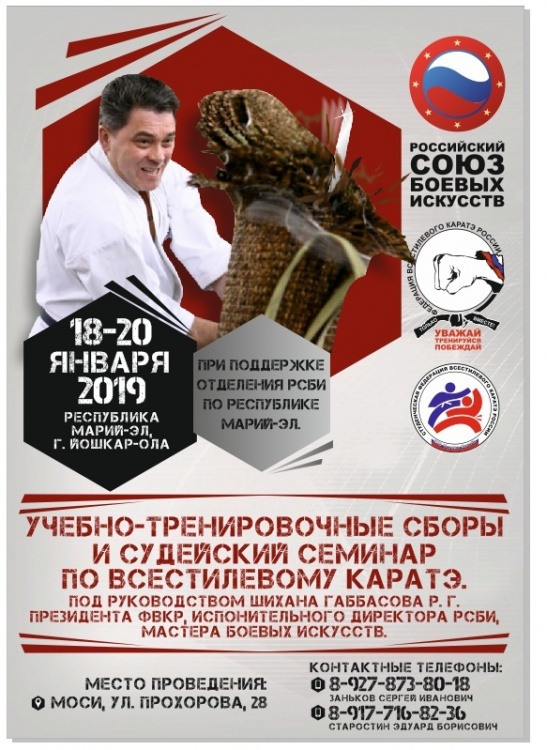 January 18-20, 2019 there will be sports training and judges seminar of Student All-style Karate Federation of Russia held in Yoshkar-Ola. Head of the event is the President of All-style Karate Federation of Russia, CEO of the Russian Union of Martial Arts – Ramil Gabbasov (5 dan). The event is free and every person interested can take part.